BANGKOK — Several countries including Canada and Australia are in talks with the U.N. refugee agency to accept a Saudi asylum seeker who fled alleged abuse from her family, Thai police said Friday. 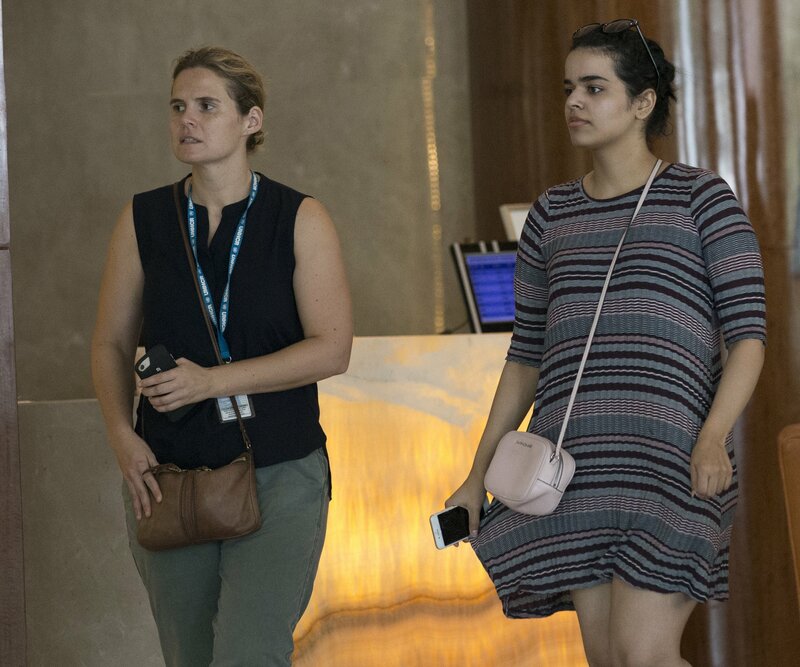 Rahaf Mohammed Alqunun was stopped at a Bangkok airport on Saturday by Thai immigration police who denied her entry and seized her passport. Australia’s Foreign Minister Marise Payne met with senior Thai officials in Bangkok on Thursday. She later told reporters that Australia assessing Alqunun’s request for resettlement, but there was no specific timeframe. Payne said she also raised Australia’s concerns with Thai officials about Hakeem Al-araibi, a 25-year-old former member of Bahrain’s national soccer team, who was granted refugee status in Australia in 2017 after fleeing his homeland, where he said he was persecuted and tortured. Hakeem’s case is being considered by Thailand’s justice system, she said.